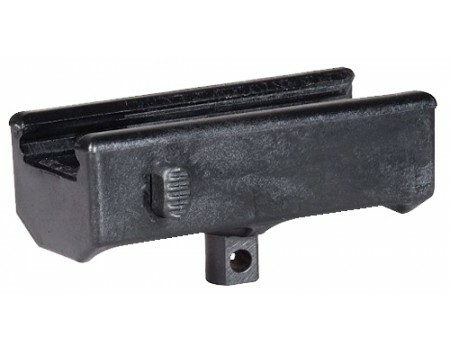 The Command Arms universal equipment mount was developed to fit handguards equipped with either a Weaver or Picatinny rail system. Use of this mount allows the attachment of a bipod, or any other piece of equipment, that requires a mounting stud. No tools or gunsmithing is required and quick removal to allow installation of another rail mounted accessory is easily accomplished.